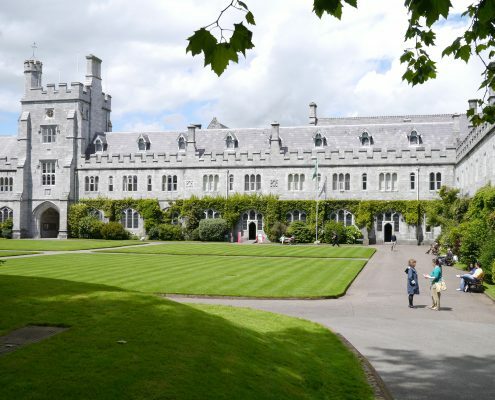 Established in 1845, University College Cork (UCC) is an internationally competitive, research-led University that plays a key role in the development of Ireland’s knowledge-based economy. It is the host of the Bridge Network Consortium and has responsibility in co-ordinating the activities and outputs of the consortium. UCC is ranked in the top 2% of universities worldwide with over 21,000 students with 2,800 staff and has been Sunday Times University of the Year 5 times since 2002. UCC is divided into four colleges; Medicine & Health; Science, Engineering & Food Science; Business & Law and Arts, Celtic Studies and Social Sciences. UCC has an overall research budget of @ €100 million (highest nationally). It is home to national research institutes such as the Tyndall National Institute, the Environmental Research Institute, the APC Microbiome Institute and host to several national, multi-institutional research centres. The Office of Technology Transfer is responsible for management and commercialisation of UCC technologies and research expertise. It provides services to bring research and commercial expertise together to benefit society, impact on the economy and provide a return to the university to further advance its research mission. Please visit the UCC website for more information.